Instructor for Environmental Health Practices, Applied Research Project in Health Sciences, Field Experience in Public Health Inspection, and Promotion and Education. 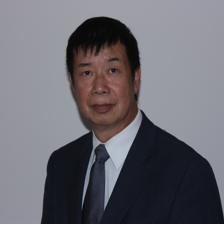 Mr. Mak has over 40 years experience in environmental public health. His knowledge spectrum is comprehensive. He specializes in program evaluation, environmental infection prevention and control, environmental assessment, and human health risk assessment. However, educating future practitioners and “planting seeds for success” are paramount.